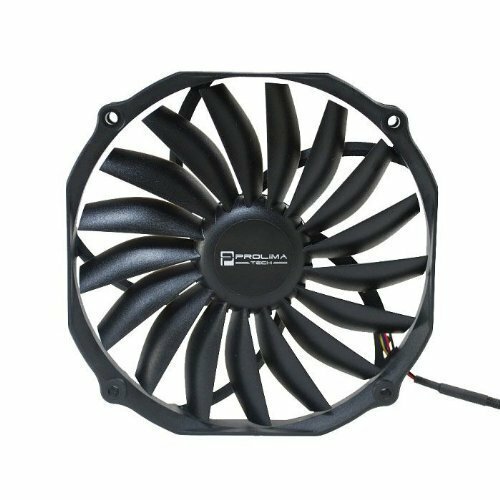 The Lazer3D LZ7 is an excellent case that is fully customizable in colors and vent openings (for fan or dust filter mounting) resulting in different air flow and noise control. See Lazer3D Configurator for more details. A Noctua NF-A12x15 fan is used to replace the fan on the Scythe Big Shuriken 2 Rev. B CPU cooler. The Noctua fan is much more silent then the Scythe Slipstream fan and performs similar. One disadvantage is that the Noctua fan doesn't fit using the standard mounting kit that comes with the Scythe cooler. I solved this by attaching the Noctua fan with zip ties. See Review LZ7 CPU coolers for details. Using the Big Shuriken idle temps in combination with the Intel Core I5-8400 are around 28 - 31 °C (@ room temperature - 23°C). A MSI GeForce GTX 1070 Aero ITX OC 8GB GPU is used because of very good gaming and cooling performance with very low noise. At idle around 35°C and completely silent (passive cooling) since the fan only spins when the card reaches around 60°C. When stressed temps are just below 70 °C with ca 40db. See guru3d review - MSI GTX 1070 for details. 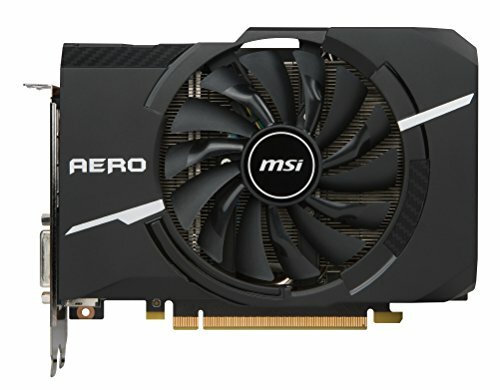 PCPartPicker tells me the MSI GeForce GTX aero 1070 8 GB OC isn't compatible with the Lazer3D LZ7, which isn't true. It fits well in the case with no compatibility issues. See Assembling Lazer3D LZ7 for details. Features I need (or don't need) on a motherboard are: -- M.2 Socket for NVMe SSD, preferable on the top side (a heath sink is a plus). When using a M.2 slot SSD, 2 cables can be left out that are otherwise needed for a SATA SSD , which is a big advantage in a mini ITX build. Also, there are a lot of motherboards with a M.2 slot on the backside where the heat from the NVMe SSD gets trapped between the backside of the motherboard and the case since there is very little ventilation in that place. -- A descent audio chip, if possible Realtek ALC1220. -- At least 3 x 3.1 USB ports. -- Since I'm not going to do overclock I don't need a motherboard with Z300 series chipset (but 300 series is needed for 8th generation CPU's). I finally have chosen the Asus ROG Strix H370-I Gaming. I removed the plastic IO cover that is mounted above the IO panel and VRM heath sink, since i don't see the benefit of it except looks (and at first I thought there would be a compatibility issue with the Scythe Big Shuriken 2 Rev. B, but there is no problem combining these 2). 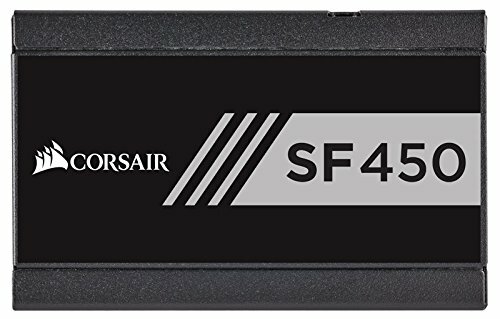 A Kingston A1000 960 GB NVMe is used as primary storage, this "budget" SSD has more then descent read/write speeds for it's price class (read 1500MB/s, write 800MB/s) with a TBW of 600TB. And important, Kingston gives five-year warranty on this product. Some numbers - Cinebench (CPU Benchmark): CPU: 56 - 59°C (68,7W), MB: 28°C, GPU: 44°C - 3DMARK (GPU Benchmark): CPU: 56 - 61°C, MB: 30°C, GPU: 69°C - Wolfenstein II The New Colossus on Ultra (132 Fps, 8.32 ms): CPU: 49 - 56°C (41,7W), MB: 34°C, GPU: 71°C (154,4W). All at Ambient temperature ~ 23°C. Wow. I am very surprised at how much power is in such a small box. The thermals seem amazing for such a small build. You have a very compact vr/lan build on your hands this should be great for gaming on the go! Yes, the thermals are fine, thanks to the way this case is build. It has a large intake fan (cooling the MB + CPU), and the GPU has vent openings on all sides. Wonderful sfx build. We salute you. Interesting choice. 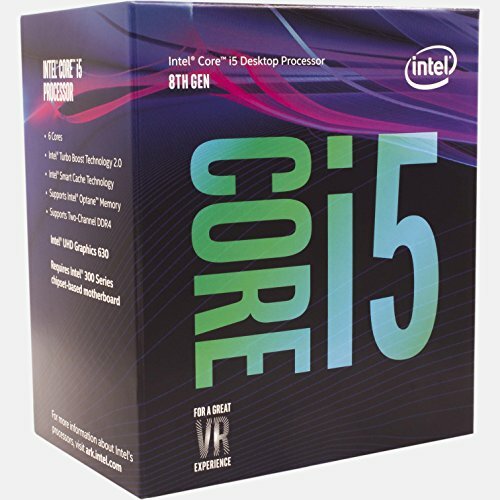 What motivated you to build this computer? It had to be (very) small, powerful but not high-end, and the most important: silent. nice always love a mini pc. thinkin of using the skyreach 4 mini when i eventually get around to building a mini pc. Damn this is awesome. Impressive given no STX parts are being used. This is beautiful. Very well done, and very inspiring. Yes, it is small. Around 7 liters and fits almost on one hand. Incredible! and Congrats on feature! Looks excellent. I really want to do a LAN party pc in this case! Great build! I would suggest that you look into some custom cable mods to replace your stock cables. It might improve your airflow and thus your thermals even more. Thanks. Yes, custom cables are the next step. Thats such an awesome looking sff build. I use a larger CPU cooler then the one TEK Everything uses (with silent 120 mm Noctua fan as intake instead of the more noisier Scythe fan). Also, since I don't plan to overclock this CPU was the perfect choice for me. Not a fan of itx builds, but i surely like to see one, from time to time... Especially if its done right. And this one surely packs a punch. Great work. Absolutely amazing. I've never seen anything like it. More powerful than my PC and only a fraction of the size. why is your power supply on top of your cpu cooler? This is the way this case is build. The fan on the CPU cooler serves as intake, it doesn't suffer from the power supply which is mounted directly above the cooler. Thats almost worse, because the power supply is not only limiting airflow to the CPU by blocking an intake fan, but its also generating a lot of heat, and thus the forementioned fan is sucking in hot air and using it to cool the processor, and other vital components. Its just a bad case design. You want a small, portable PC, then get a laptop. I don't need a small portable PC, just a small silent pc. Also a laptop doens't have the performance I get like with this build (or not for this price). About case design: there is a big 140mm fan on the right side of the case which gives lots of cool air directly to the CPU cooler and MB. The Corsair PSU is not generating a lot of heat, the outtake is on top and the fan almost never spins. I get really nice temps with this build, CPU idle at 28 °C, end 50's at load. 50s during load isnt great for this CPU, and you could get much better performance in a laptop and better temps. Laptops will always be more expensive than equivilent desktop computers because they are thin, light, and portable, something that is important to most people, but if this works for you. They are indeed! Attaching the Nocuta fan to the Scythe cooler with zip ties was a tip from the designer of this case, I read it on his blog. Gahhh! 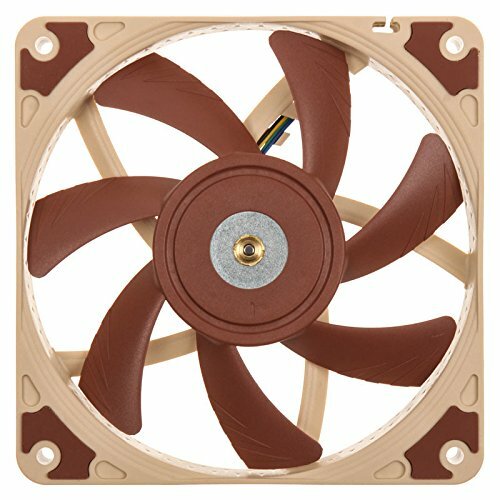 Noctua, why the BROWN? Nice build other then the brown Noctua. I would have personally gone with a ryzen chip since they stay much cooler under load but if your not using an overclock-able chip then it probably doesn't matter much. Good looking build regardless! Looks like an amazing build, but I had two questions about this build. First, I'm considering recommending this build for my sister. But, I wanted to know if this would be a good build for film editing. Since she is considering majoring in film editing as a career. Second, I went to try and edit this build and see if there were and incompatibilities and this is what it said "The MSI - GeForce GTX 1070 8GB Video Card height of 144mm exceeds the Lazer3D - LZ7-v1 Mini ITX Desktop Case maximum of 131mm." I was wondering if this was actually true. Thank you, and have a good day. Thanks you for the feedback and keep up the good work. any consideration on using a high quality pico psu and an external power brick? you could get away with a 400w i think if you use stock settings. this will cut down significantly on the weight in the system and help with thermals. I was just about to suggest this as well. There's a video where someone overclocked an i7-7700K and gtx-1080 on it and it ran just fine. That was with an alienware 330 Watt laptop adapter. I don't see you needing anything more than a 230W. As far as mounting goes it has 4 holes to mount, I think something like double sided adhesive will work because it doesn't get hot and theirs no moving parts to disturb the adhesive. Interesting, I just saw that Lazer3D (the designer of this case) has a special panel for mounting this PSU, check this out: Lazer3D link 1. And here: Lazer3D link 2. Nice, I will check it out. I built a very small itx pc for my mom, and actually Vesa mounted the thing to the back of her monitor. The case was barely large enough to fit the MOBO and the small PICO Psu. I would love to try a more powerful build, but I was too scared to put $1000 worth of parts at the mercy of one of these tiny PSUs. apparently the one that I linked is one of the best quality ones readily available. I just saw an opportunity for your to possibly make an improvement, just an interested viewer! Compact is an understatement. Any smaller and it's basically a gameboy! 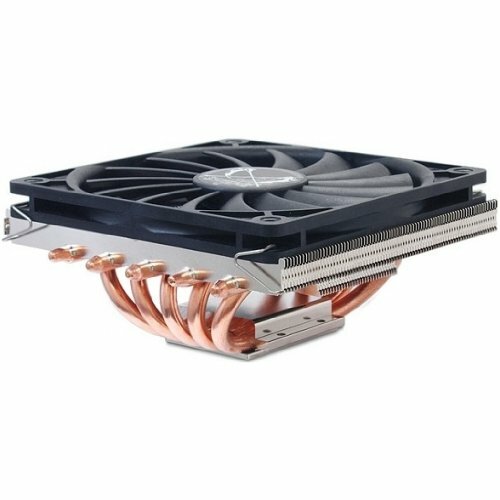 Does the motherboard get warm with the IO heatsink removed? and does it just unscrew or did you have to break something to get it off? I didn't remove the IO heatsink, There is a plastic IO cover mounted on top of the IO heatsink (just for the looks I guess). That's the one I removed. 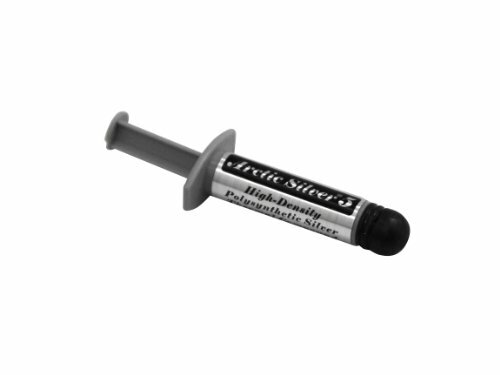 The IO cover is mounted with 2 screws that can be easily removed.